#GivingTuesday: Where Should You Donate This Year? #GivingTuesday: Where Should You Donate? Celebrated every Tuesday after Thanksgiving (in the U.S.), #GivingTuesday kicks off the charitable season when folks are focused on giving gifts (to both loved ones for the holidays and end-of-year donations). Want to give this season but need help finding deserving organizations? Here are some of our clients and partners that are encouraging charitable giving this season. We hope you’ll join the #GivingTuesday movement this year too and find a way to give back to those in need. Follow us on Facebook, Twitter, and LinkedIn. All day on #GivingTuesday we’ll share links to give to these awesome organizations and others! 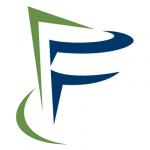 Frederick County Public Libraries (FCPL) connects people to ideas and to one another, inspiring a culture of learning, strengthening the community, and cultivating the library as a destination. You can make a gift to the library that will put more books in more hands and help FCPL reach more people in underserved parts of the community. New Spire Arts is a new performing arts nonprofit that provides unique performing arts opportunities for all ages and abilities. 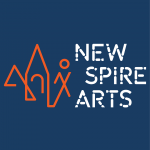 Looking ahead in 2019, New Spire Arts has an amazing line up of artists, homegrown talent, and education and classes scheduled. Each dollar you donate supports artists and teaching artists. As New Spire Arts strives to nurture the arts from the young learner to the cutting-edge professional, your financial support makes it all possible. 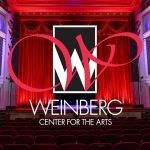 Presenting world-class live events in a landmark 1926 venue, the Weinberg Center for the Arts enhances cultural life and ensures that the arts remain accessible and affordable to the broadest audience possible. When you give to the Weinberg this #GivingTuesday, you’ll help to pay it forward for the next generation of artists and audiences. In addition to providing a showcase for world-class artists, your gift also helps to provide arts education programs for more than 15,000 schoolchildren per year. Give the gift of education. When you give to Frederick Community College, your support will help students overcome financial challenges to a college education. Funds support scholarships, emergency food and gas assistance, transportation passes, textbooks and software access, tuition, and more. Plus, you can double your impact! A gift to Student Success Funds will help current students stay in school and be matched dollar for dollar up to $10,000. 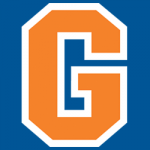 Gettysburg College is nationally recognized for its liberal arts program. Every gift to Gettysburg College makes a difference. Gifts increase the College’s alumni participation rate, foster strong relationships with outstanding faculty, strengthen the value of a Gettysburg College degree, help Gettysburg attract more students, and support both the strong traditions of the College and what makes today’s Gettysburg unique. Hood College provides a liberal arts education that empowers students to meet personal, professional, and global challenges and to lead purposeful lives of responsibility, leadership, service, and civic engagement. With a gift to Hood College, you can touch each and every single student on campus by providing student scholarships and financial aid, support for academic programs, opportunities for research, athletic programming resources, and so much more. 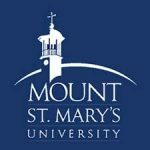 Mount St. Mary’s University is a private, liberal arts, Catholic university offering more than 70 majors, minors, concentrations, and special programs for traditional undergraduate students, plus 20 adult undergraduate and graduate-level programs. From one-time gifts to recurring online gifts, there are many ways you can give back to ensure the Mount experience stays strong for future Mounties for years to come. The University of Maryland, Baltimore (UMB) is Maryland’s only public health, law, and human services university. 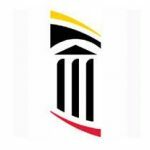 UMB serves as a catalyst to improve the human condition and serve the public good of Maryland and society-at-large through education, research, clinical care, and service. A gift to UMB helps to advance scholarships, research, clinical care, social justice, and law. With your support for research, expertise, and professionals, UMB is able to address the real-world issues that affect us all. Bon Secours Mercy Health’s mission and values come to them from the compassionate ministries established more than 150 years ago by congregations of religious women. Bon Secours is committed to continuing their legacy and passion to be of service to all who need their care and help, especially the poor, underserved, and dying. With a donation to support Bon Secours’ revolutionary population health, you can help Bon Secours continue their mission to be Good Help to Those in Need®. 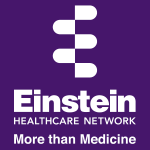 Einstein Healthcare Network is a private, not-for-profit organization with several major hospitals, many outpatient centers, and numerous primary care and specialty care locations throughout the Philadelphia region. Every day, with humanity, humility, and honor, Einstein provides healthcare and education for as many people as they can reach. A gift to Einstein helps to restore health, educate the community, and expand research to benefit everyone who relies on Einstein for care. 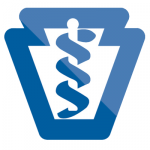 The Pennsylvania Medical Society (PAMED) is a physician-led, member-driven organization representing all physicians and medical students throughout the state of Pennsylvania. PAMED advocates for physicians and patients, educates physicians through continuing medical education, and provides resources and guidance to help physicians and their organizations navigate today’s healthcare system. With your generosity, the programs at the Foundation of the Pennsylvania Medical Society change lives. Student Financial Services, the Physicians’ Health Program, and LifeGuard all positively impact the future of medicine, but they can’t do it without you. For many Frederick County residents, Frederick Memorial Hospital is synonymous with the hospital on Seventh Street, yet that facility is actually the hub of the much larger Frederick Regional Health System (FRHS), which includes FMH Rose Hill, the James M Stockman Cancer Institute, Monocacy Health Partners, and more. With the support of friends like you, FRHS is able to provide the best in diagnostic and life-saving equipment, services, technology, and facilities for the thousands of patients who turn to them in their time of need. Kessler Foundation strives to improve the lives of people with physical and cognitive disabilities caused by stroke, multiple sclerosis, brain and spinal cord injury, and other chronic neurologic and musculoskeletal conditions. With your support, Kessler Foundation scientists and grantmakers will make new discoveries and create new employment opportunities that change the lives of people with disabilities in a meaningful and tangible way. 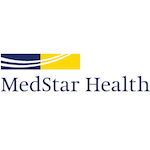 MedStar Health proudly cares for more than a half-million patients each year across Maryland and the Washington, D.C., region in hospitals, urgent care and ambulatory care facilities, and physician offices. MedStar Health combines all aspects of academic medicine, research, and innovation with a complete spectrum of clinical services to advance patient care. With your donations this #GivingTuesday, MedStar Health can ensure extraordinary care for the community far into the future. Encompassing the Icahn School of Medicine at Mount Sinai and seven hospital campuses in the New York metropolitan area, as well as a large, regional ambulatory footprint, Mount Sinai is internationally acclaimed for its excellence in research, patient care, and education across a range of specialties. The first $10,000 raised on Giving Tuesday will be matched, dollar for dollar, by one of its generous donors. 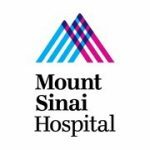 When your gift is doubled, your impact on Mount Sinai is doubled. That means your contribution will go twice as far in advancing lifesaving research, education, and patient care at Mount Sinai. Since 1922, Mt. Washington Pediatric Hospital (MWPH) has been caring for children with special medical, rehabilitative, and complex care needs. This year, in addition to supporting MWPH’s inpatient and outpatient programs, you can also give the gift of warmth! For every gift of $20 or more, a patient will receive a warm MWPH winter hat. Asbury Foundation secures charitable support to enhance the lives of persons served by Asbury Communities, a 90-year-old, not-for-profit organization of eight continuing care retirement communities and home care services for older adults. When you make a gift to Asbury Foundation, you’re enabling someone to remain in the home they love with the new family they’ve built or afford life-saving prescriptions and care. You’re helping to preserve their pride and dignity. Many of the benevolent care recipients have outlived all of their family…therefore, their Asbury Community is their family. 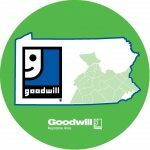 Goodwill Keystone Area supports people with disabilities and other barriers to independence in achieving their fullest potential as workers and as members of the community. A gift to Goodwill Keystone Area helps to develop innovative, nationally recognized programs and provides training for people who want to work, helping them become independent members of the community. Healthy Adams County is a collaborative partnership of community members dedicated to continuing assessment, development, and promotion of efforts that improve physical, mental, and social well-being. With a gift to Healthy Adams County, you can support breast cancer screenings for women who cannot afford them, farmers market and food vouchers for families in need, resources that promote healthy eating, programs that promote and support physical activity and wellness initiatives, and more. Have another organization or charity in mind that could use some support? Tell us about them in the comments below, or share this post on social media! 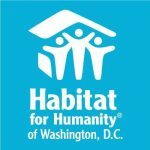 Home » #GivingTuesday: Where Should You Donate?